Children benefit from programs in their communities: allowing them to learn, dance, colour, and sing. Individuals access programs to address disabilities, mental health and well-being, and social isolation for seniors. People in vulnerable living situations have their shelter needs supported, while developing skills, increasing their knowledge in budgeting, and learning to grow and prepare their own food. Our fundamental goal is, and has always been, to invest in people. After 50 years, that goal remains the same, but, our method of delivery and measurements of outcomes has vastly changed. The evolution of how your United Way has influenced social change is a remarkable testament to people (donors and volunteers) who have made a choice to care about other people. We thank our supporters and community agency partners for continuously supporting our vision. Weaving more effective and responsive systems of support in our community has been a priority for our United Way, its funded agencies and its community partners. In the past decade or so, we have taken a more cohesive approach to address the root causes of systemic issues such as poverty. By working in tandem with community partners to identify emerging and critical needs, UWCKL has developed critical paths for community investments that support wrap around services with agency partners. In addition, UWCKL has led several pilot projects and new ventures to help people in a more impactful manner. United Way donors and volunteers give with purposeful thought because they know their donations will be invested locally and in a strategic manner. Our donors recognize that our funded agencies and programs are part of a collective impact strategy, and the agencies are delivering programs that are vital. We want to thank our funded agencies and community partners for their work and dedication to finding new ways to work together and weave social safety nets. Consistent funding has helped grow and stabilize our local agencies over 5 decades, which has in turn, improved the lives of thousands of people in real time year after year. Since 1986, more than $7 million has been invested into our agency partners’ programs and United Way-led community projects. This funding has strengthened our agencies and our community. Over the past five years, we have seen the number of people touched by United Way grow from 23,000 a year to more than 30,000 people. Our donors, volunteers, funded agencies and staff have delivered programs that provide profound and life-changing impact. Thank you for your generous support and for helping us shape a responsive, caring community. United Way for the City of Kawartha Lakes is coming into the final legs of its year-long Community Garden and Social Inclusion initiative. Why “Edwin Binney’s” Community Garden? United Way CKL would like to congratulate Community Care Health and Care Network on their successful application. 90% of Canadians will access a United Way funded program in their lifetime. After government, United Ways are the second largest funder of social services in Ontario. Approximately $6.9 million has been invested in agency programs since 1986 in the City of Kawartha Lakes. In addition, United Way has invested over $1,000,000 in community projects since 2005. Community Investment includes: $65,000 in bursaries to local high school graduates, Age Friendly Steering Committee, Community Gardens, and training in Outcomes Measurement. United Way of the CKL is part of the newly formed Poverty Reduction Roundtable for the City of Kawartha Lakes and Haliburton. 40 United Way garden plots help hundreds of people access fresh produce and increase food literacy. In total, there are over 100 United Way funded or supplied community garden plots in the City of Kawartha Lakes. Every year, up to 24 community members are chosen to be part of the Citizen Review Panel which is responsible for ensuring fair and transparent distribution of funds. Did you know that United Way CKL has been funding the FourInfo.Com project in City of Kawartha Lakes for more than a decade? It is responsible for bringing the 211 service to our communities. 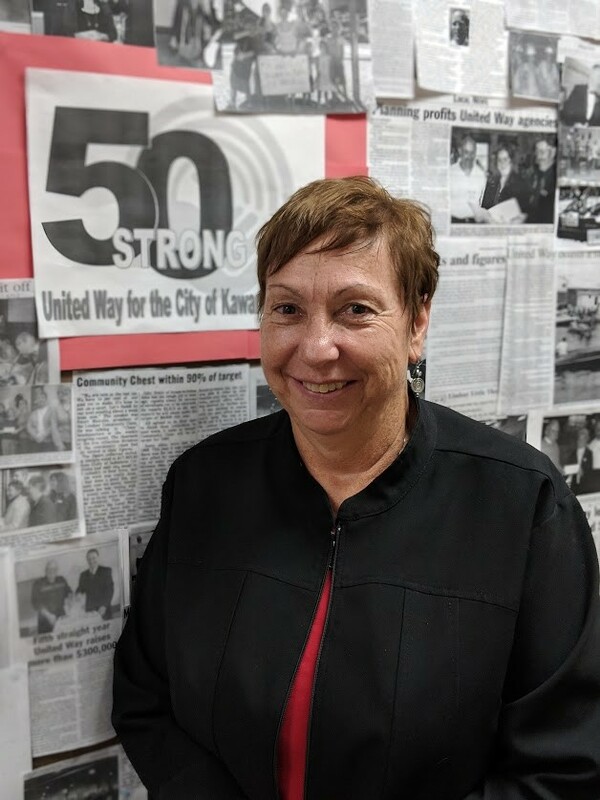 Each year, United Ways and Centraides in Canada raise upwards of $520 million, the majority of which is reinvested in local communities to support programs and services. Through community investments and partnerships, the United Way understands the value of safeguarding smaller agencies that specialize in unique yet vital programs. Identifying neighbourhoods where children are ready for school – or not ready as the case may be – is critical to making cost effective investments. It is imperative that we ensure mobile programming reaches children in rural villages and hamlets throughout our catchment area.